#1 — In 1835, while in Dresden trying to find a cure or some relief for his “consumption”, Chopin renews his acquaintence with the Wodzinski family, who had lived in his father’s boarding house back in Poland years before. Their young daughter Maria is an accomplished pianist in her own right and Chopin falls in love with her. She is 17, he is 25.#2 — They maintain a strong relationship by letter and see each other periodically as Chopin criss-crosses Europe giving concerts and teaching the aristocracy. Not long after on September 9, 1936, Chopin proposes marriage during a holiday together, chaparoned by Marie’s mother. Marie accepts.#3 — Marie’s family tells the couple that the engagement will not be “official” until Chopin proves that he is gonna live long enough to take care of their daughter! He gets a one year trial period to improve his failing health or all bets are off. He also needs to prove that he can provide a stable home environment. Due to continual travelling and performing, he has not yet set up a permanent home.#4 — So into this milieu marches Georg Sand. They meet approximately October 24, 1836, a month or so after Chopin proposes to Marie. Chopin is ill and realizes he just may be rejected by Marie’s family as decent husband material. Sand is separated and soon divorced from her Baron husband and has 2 children, a boy, Maurice and a girl, Solange.#5 — As luck would have it, Chopin cannot do what the Wodzinski family requires of him. He becomes very ill over the winter months and eventually meets Marie in Germany the early part of July, 1837 after a series of concerts in England and the Netherlands. Marie’s family sees the state of his frail health and instructs her to reject his proposal….by letter….later. By the time he returns to Paris toward the end of July, he receives word of the broken “unofficial” engagement. He wraps Marie’s correspondence and the rejection letter in a bundle and labels it “My Sorrow”. This song was heard in The Others and in an episode of Mad TV where Stuart gets piano lessons. It is prominently used in the PC game Alone in the Dark as both the game over music and as a song you can hear if you pick up a gramaphone and a certain record, though this version is played in a different tempo. 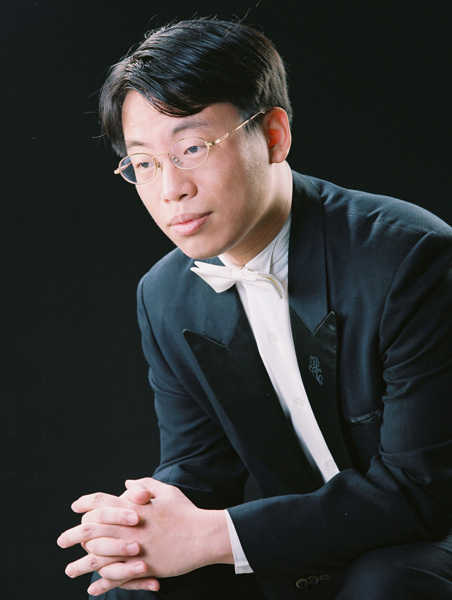 Chih-Long Hu of the Chopin Project performs the Waltz in A-flat, Op. 69, No. 1 minor. To hear it, Click on the piano! For information on obtaining the sheet music to the Waltz from the Musicroom, Click on the cover page! Welcome to the Chopin Project! These pages are a gateway to the complete solo keyboard music of Fryderyk Chopin. The Chopin Project began as an ambitious live-concert-and-symposium series at the University of Michigan's acclaimed School of Music, Theatre & Dance with added support from CREES (The University of Michigan's Center for Russian & East European Studies) and the Copernicus Endowment. Now we intend for this site to be a global clearinghouse that will let fans, students, and scholars alike look up their favorite Chopin works, and discover more about them. So look for YOUR favorite Chopin pieces, discover new favorites, and share your thoughts with us! What does the "KK" Mean? The Chopin Project is proudly presented by Frederick Slutsky Arts, exclusive representatives for pianist Arthur Greene and other acclaimed performing, visual, and creative artists. Subscribe to the Chopin Project!